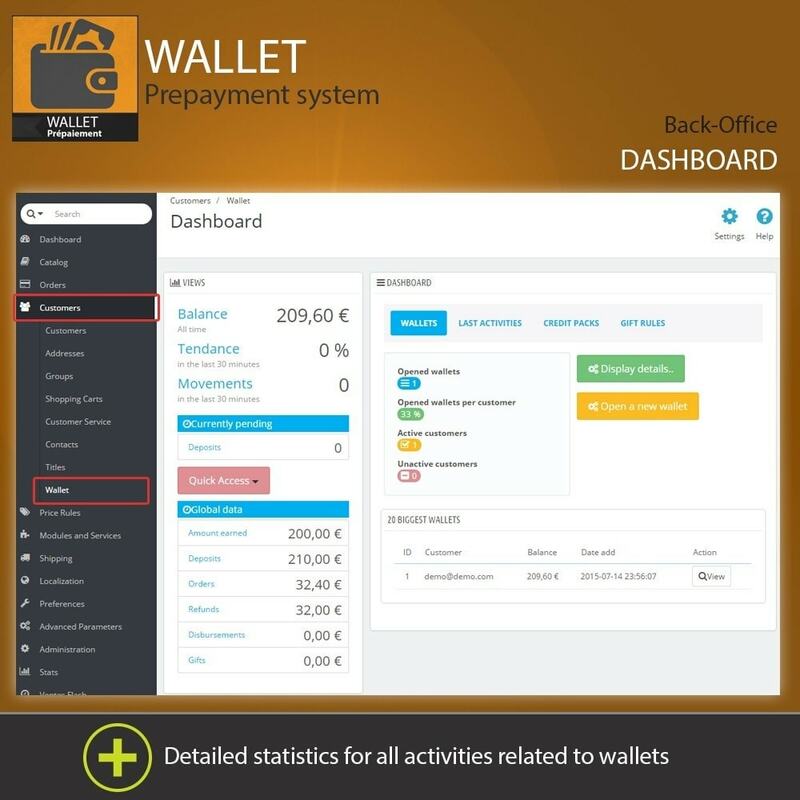 Speed ​​up the time for processing orders with instant payment. 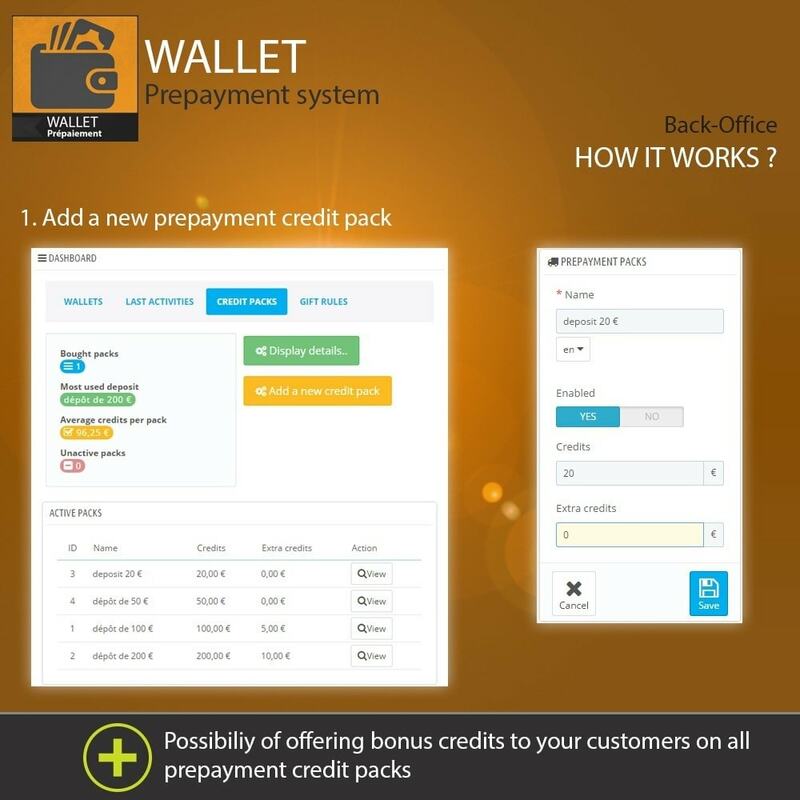 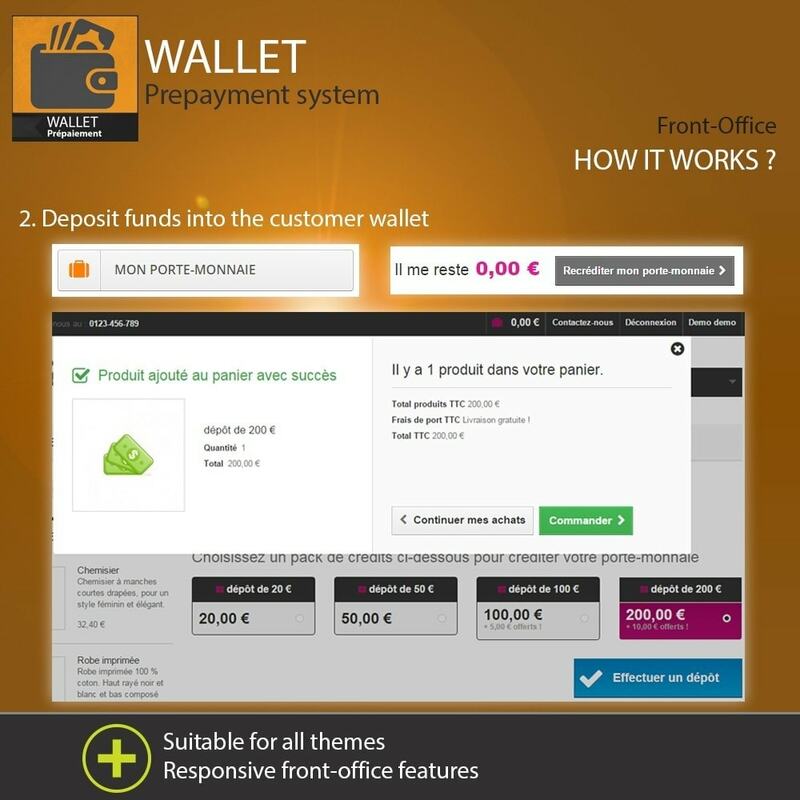 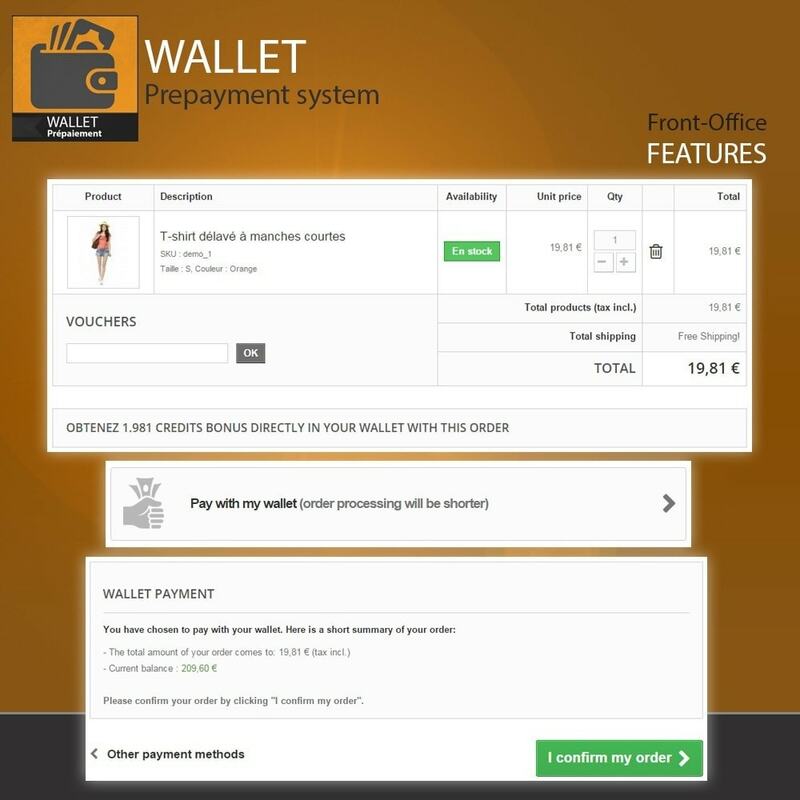 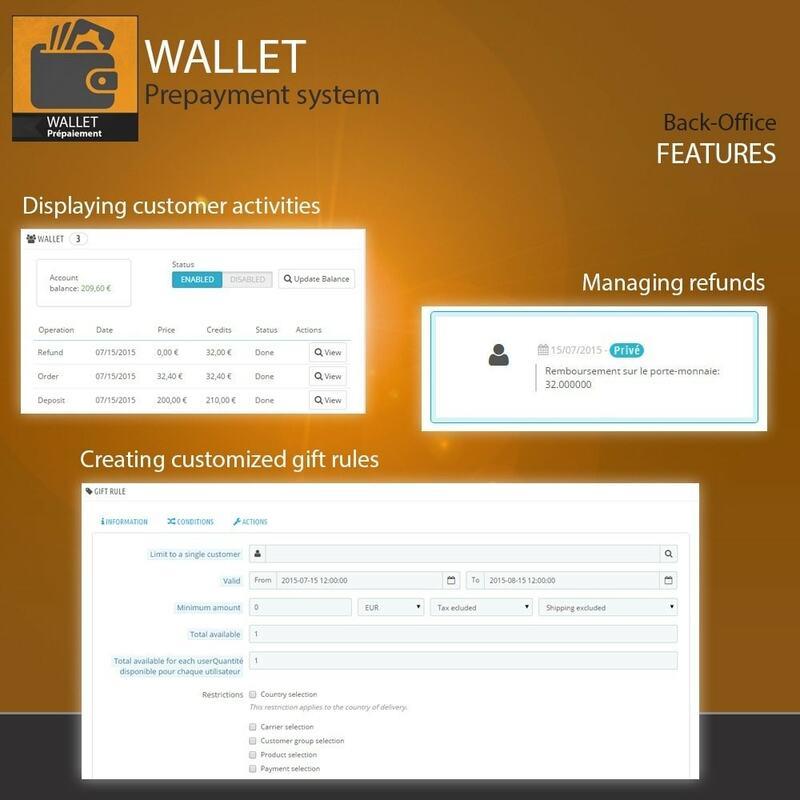 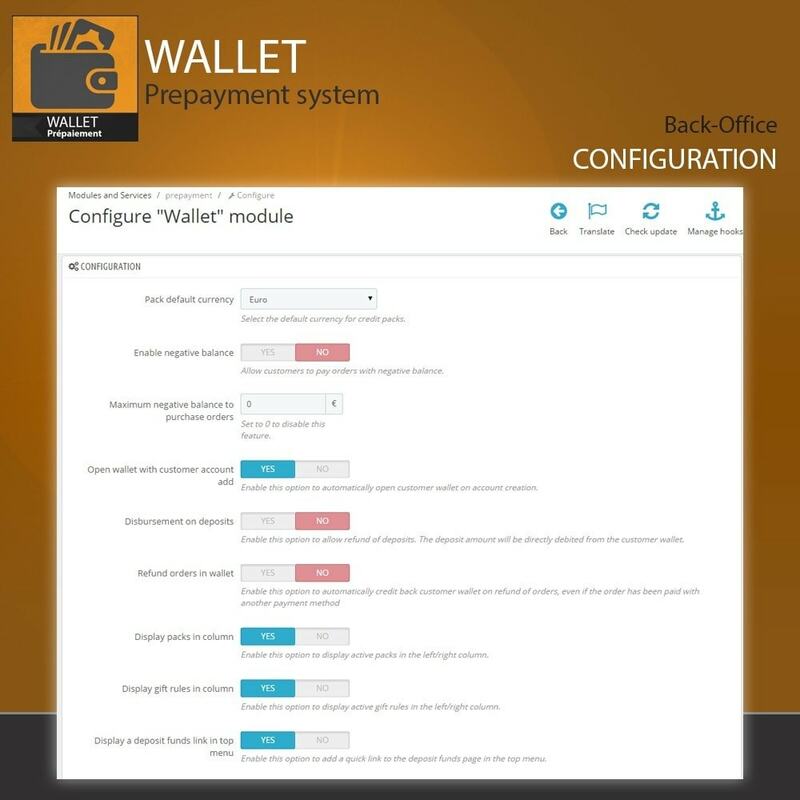 Allow user to use wallet for partial payments ! 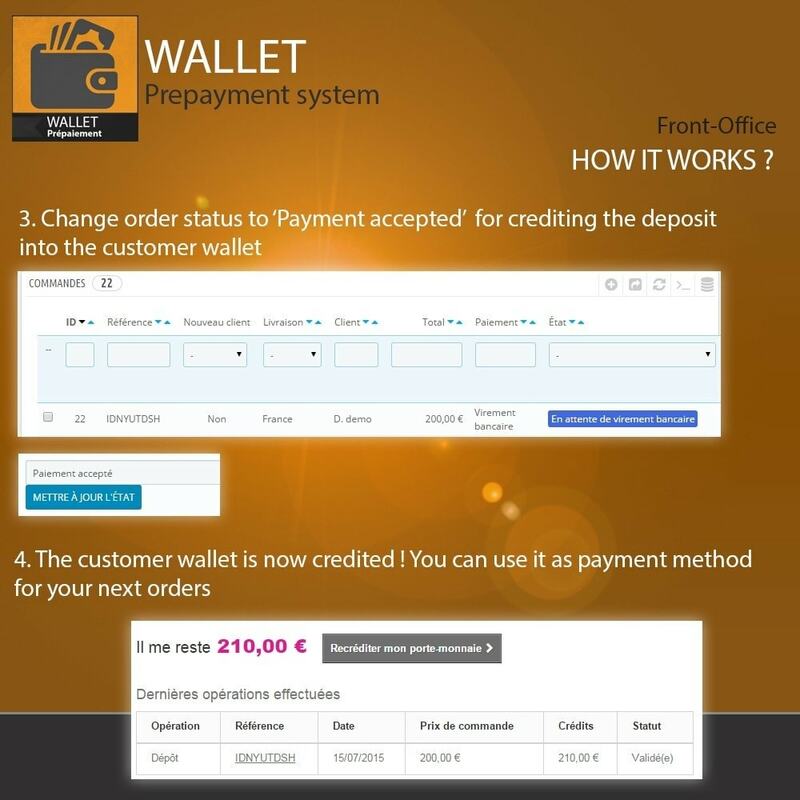 Selling products within a custom currency (credits, hours etc ..) is now possible !Very intuitive, the wallet module acts as an instant payment method to facilitate orders and speed up processing time.